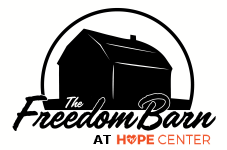 The Freedom Barn gives you the perfect blank canvas for you to create the wedding or event that you've always dreamed of. We have a caring and motivated staff to assure that you have an enjoyable experience. ​Your venue cost is doing great things giving HOPE to girls being rescued from human trafficking, as the venue rental goes straight back into The Hope Center Indy! ​Contact us to see if your event date is available! Click HERE to contact us!